Softomic LLC is a sole proprietorship based in Nutley, New Jersey established in 2005. 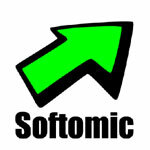 Softomic LLC. specializes in expert business systems, ecommerce platforms, social network management, and content management systems. If you have any questions regarding this site please direct them to postmaster@softomic.com.